Formedium are proud to be sponsoring this event, the 41st Annual International Dictyostelium Conference. It will take place near Geneva, Switzerland, between August 20th and 24th 2017. 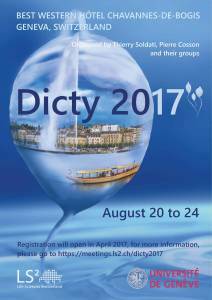 For more information, please visit www.meetings.ls2.ch/dicty2017.